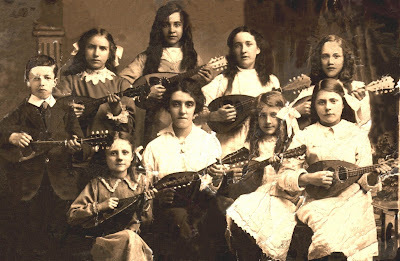 Mandolin orchestra, Waltham Forest, about 100 years ago. My grandmother leading the band! Wow...they look kind of scary...Could be the band from the Adams family hehe!